The Wavy Deep Rung Horizontal Ladder has deep rungs designed to be easier to reach for younger kids yet still exciting with varying heights. 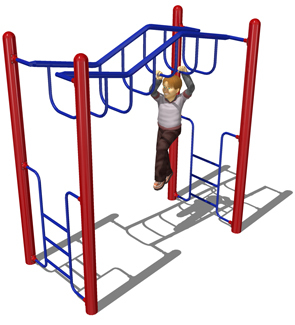 Children can begin the climb from either side starting with a three-rung ladder. Manufactured for commercial use and tested in accordance with ASTM standards.